The most unplanned holiday ever! Finally have some tan, well burn, but it's finally turning brown! I had a lovely time in Malta and a great break from everyday life. Packing was very tricky, as I didn't have enough summer clothes in my wardrobe, but I manged. We stayed near the St.Paul's Bay, not too far from Selima. We had around 7min walk to the beautiful beach. The weather was so lovely. The amount of Tequila we drunk is insane, never again for a while. I had fallen in love with Blue Lagoon, it's so beautiful there! I been spamming my instagram with photos, so check it out. I will never forgetting jumping in the pool at 11pm, yeah we are crazy, but our friendship is amazing, two blondes together = danger. 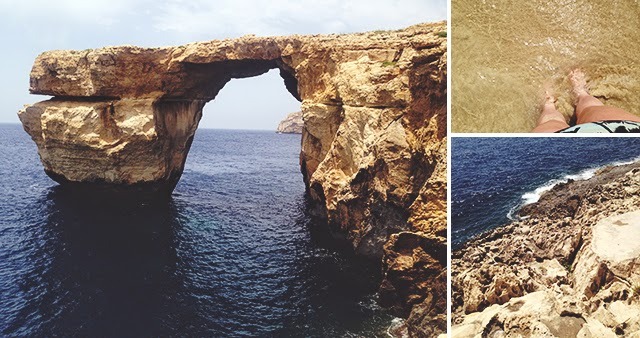 Just a short note, if you are planning to visit Malta, don't get every bus tour, they are so long and boring, I would recommend just getting the Red Tour and then get off at the Blue Grotto, you can take many amazing photos there. They have pretty much the same shops as we do in UK, we had McDonald's near our hotel, don't worry we didn't eat there. Their most popular dish there is rabbit, but pizza is also very popular there. Overall I had an amazing time! Can't wait for next holiday. What are your plans for this summer?